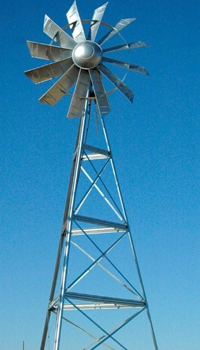 12 FT Tower Windmill Aeration System includes Air Stone Diffuser and Foot Valve and 100 Ft of 1/2 reg. air line. Full 5 year warranty on bearings and cams!